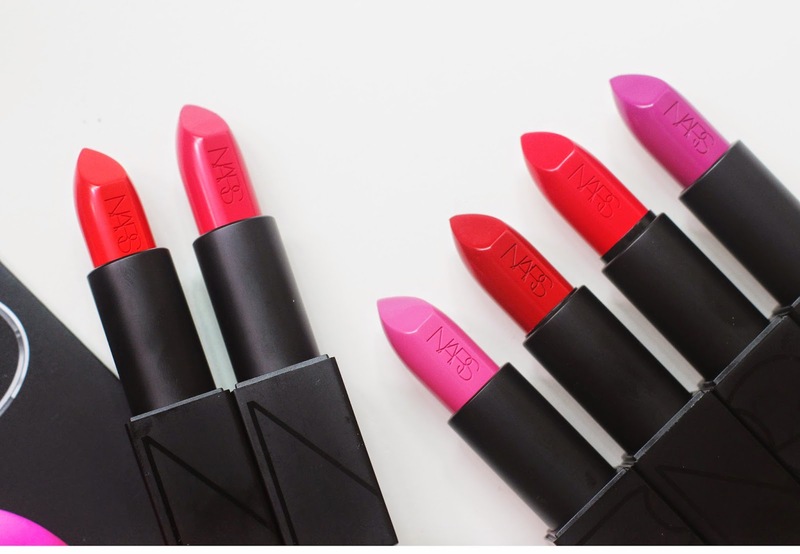 I've been hearing some great things about the NARS Audacious Lipsticks and was eager to give them a try. 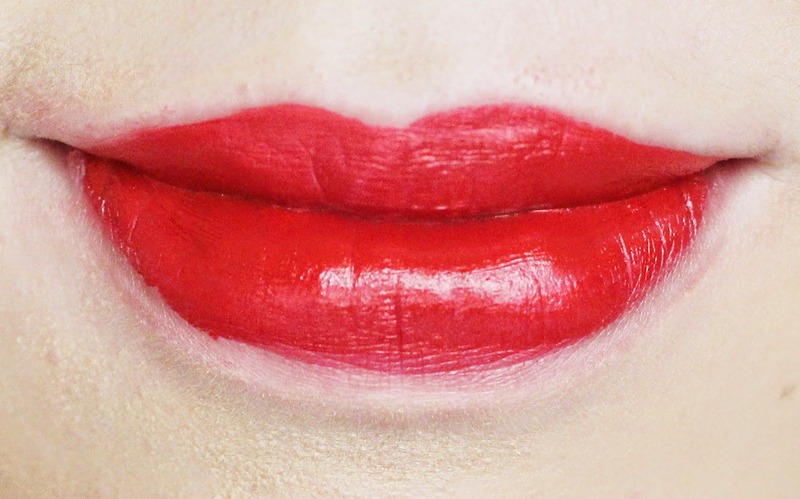 So when I was invited to experience the Audacious lipsticks I didn't spare a second to hesitate! 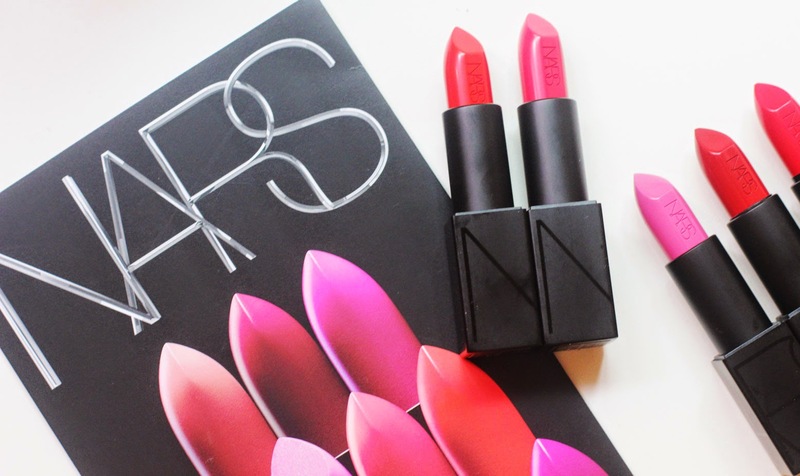 You may have seen my NARS 20th Anniversary blog post where I blogged about the new goodies that came out for Fall/Winter. This launch still carries on the theme of 'Celebrating 20 Years of Audacious Beauty' with 40 new shades ranging from soft nudes to bright reds and oranges - you'll also spot some vampy hues in there too. I was sent 6 to review and here are the arm swatches for them. 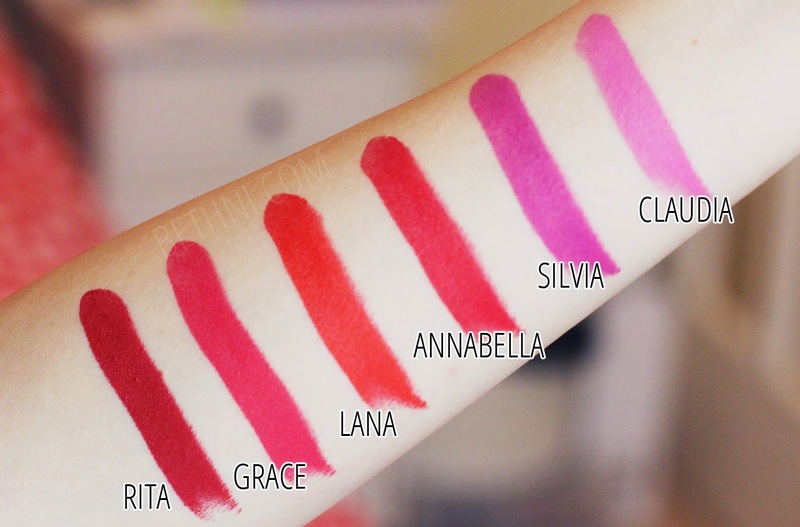 When I swatched them my jaw literally dropped from the sight of how pigmented they are. As you can probably see they are very solid and rich in color. I also tried out Geraldine (left) and Charlotte (right) - personally think Charlotte matches my outfit but I love the boldness of Geraldine - it's definitely something different and I am on the verge of breaking my shopping ban to buy it. Formula wise, the lipsticks are creamy upon application with such richness of color which I immediately fell in love with. 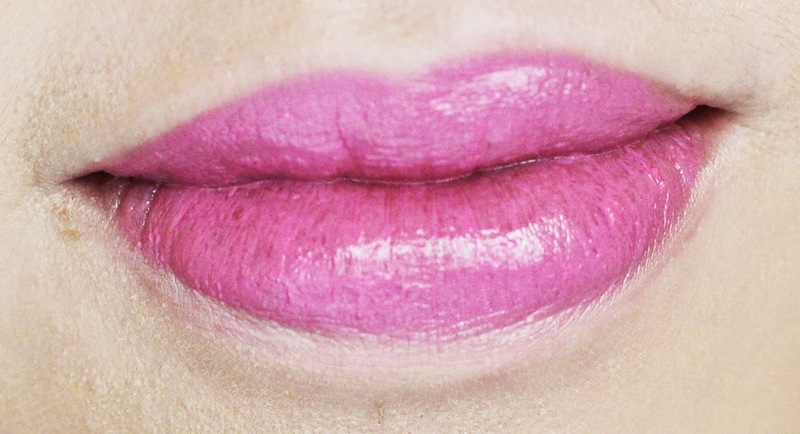 I ate straight after getting my lip makeover, and the color began to fade but the majority of it still remained. After several hours, however, may lips did appear to be dry which usually occurs with my experience of NARS lipsticks. However, I definitely see the improvement of the Audacious line when compared to previous lippies - how the lipstick glides onto the lips and the rich pigmentation is definitely something new. I also love the sheen finish that is - not too glossy nor too matte. 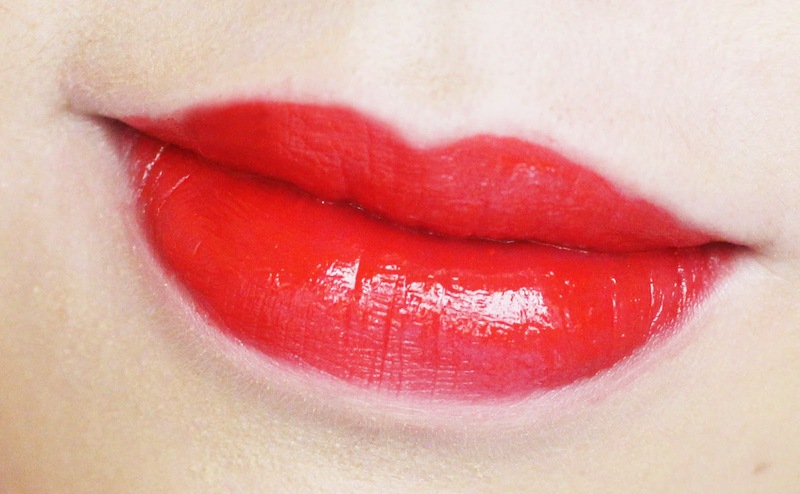 With a hydrating lip balm underneath, you can easily fake glossy lips and without - well, matte lips! Packaging-wise NARS has definitely upped its game with magnetic lids and embossed logo. What's more, the lipsticks can be connected to each other magnetically so you can keep them altogether (if you decide to take more than one out) in your handbag, or even in your makeup collection. No more searching long and hard with 'Where's that other shade?' ringing in your heated ears. Which Audacious lipstick is your favorite? Let me know so I can go check them out! 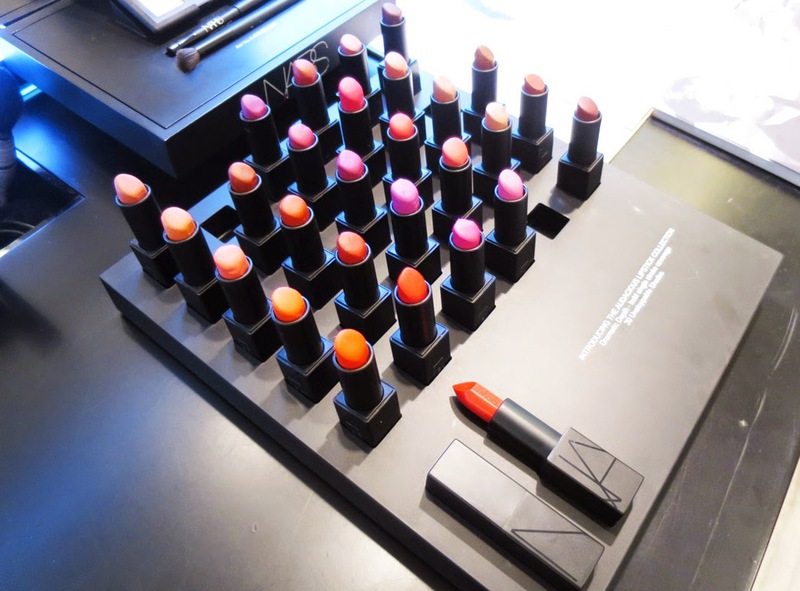 Shop the NARS Audacious range here. YouTube | Facebook | Twitter | Instagram | Bloglovin' Disclaimer: This post is not sponsored. The products were sent to me by PR for review/consideration. This post contains affiliate links.